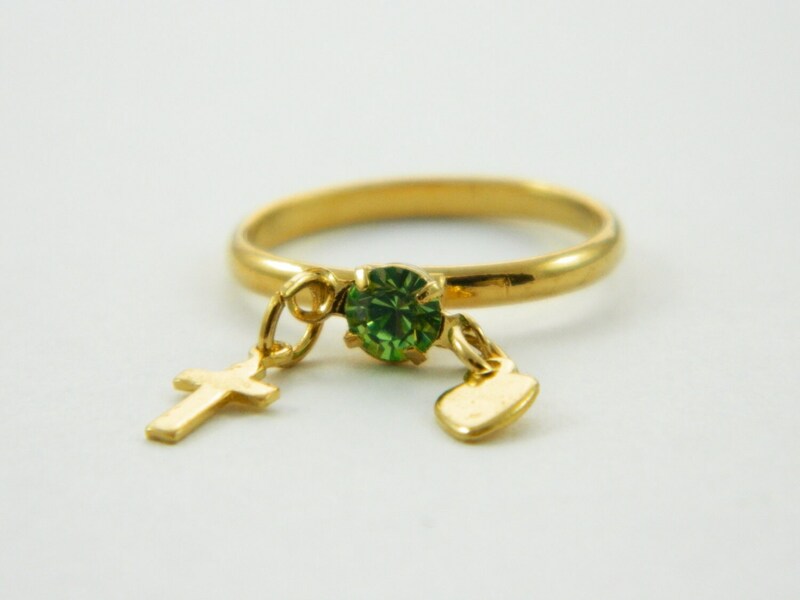 Adjustable Gold Tone Vintage Ring with Faux Peridot. 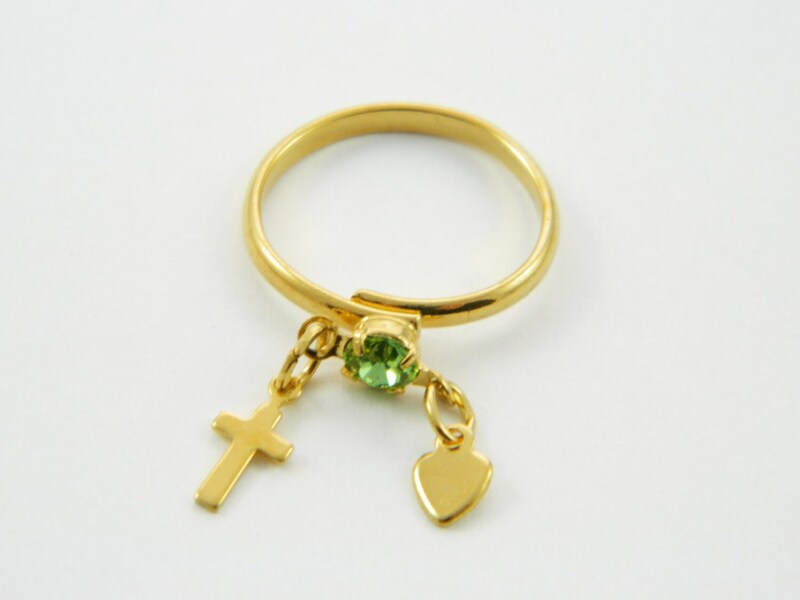 Includes Heart and Cross hanging charms. 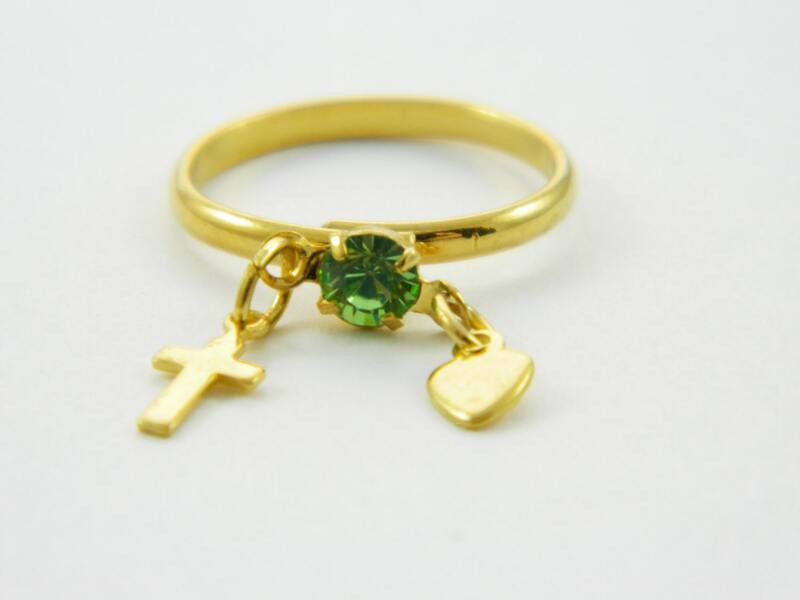 Ring Size: Comfortably Adjustable from size 3 to 5.